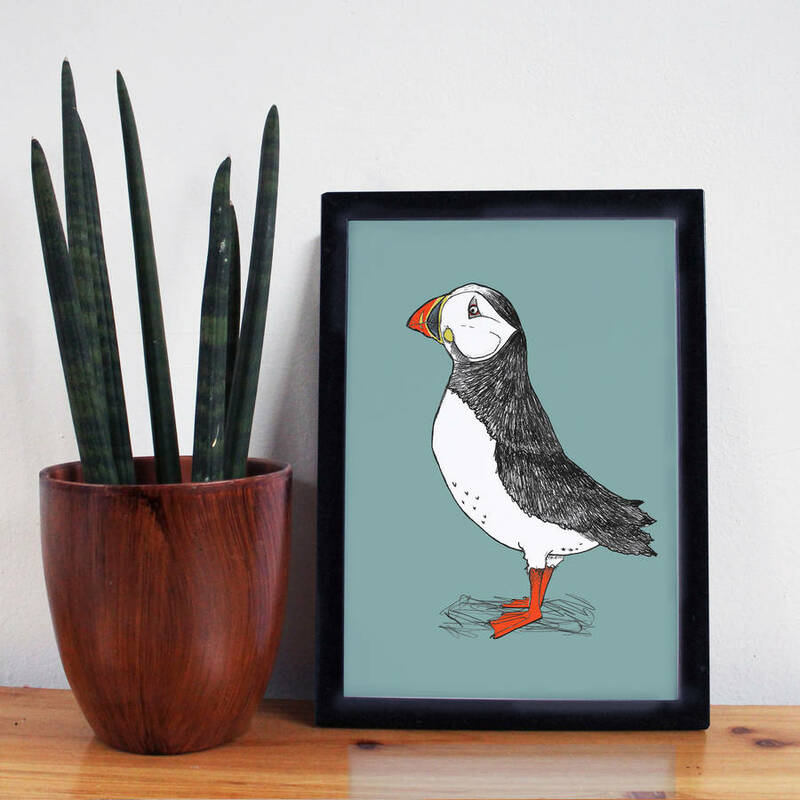 A cute A4 Puffin print makes a great housewarming gift for any nautical loving friends. Brighten up any room in your home with this nautical print! We love Puffins also known as 'clowns of the sea' with their bright beaks and cheeky cheeks and this print makes a unique new home gift. Our hand drawn Puffin print is printed in the UK on high quality 350gsm card. Our prints are hand framed to order by specialist framers in the UK. Please allow 6-8 working days from order if you would like your print framed. Your framed print will be sent directly from our framers in specialised secure packaging to ensure it looks as pretty as a picture when it arrives! Please note express delivery is not available for framed prints. Other Puffin Billy products are available from our NOTHS store.